Last week the forecast was for snow/ice/freezing rain/sleet. Take your pick. We knew temps were going to get into the low twenties, so we (meaning Nolemana) put the tarp around the doves’ aviary, covered all the outside faucets, drained the water going down to the pasture, and turned on the light in the well pump area. We also got the bird bath heater installed. The day before, it had started out with fog, which was just beautiful in the early morning. This is what our lānai looked like the following morning. Good thing I left the kitchen cabinet open at the sink because the plumbing is against an exterior wall. Doesn’t look like much but it was unbelievably slick. 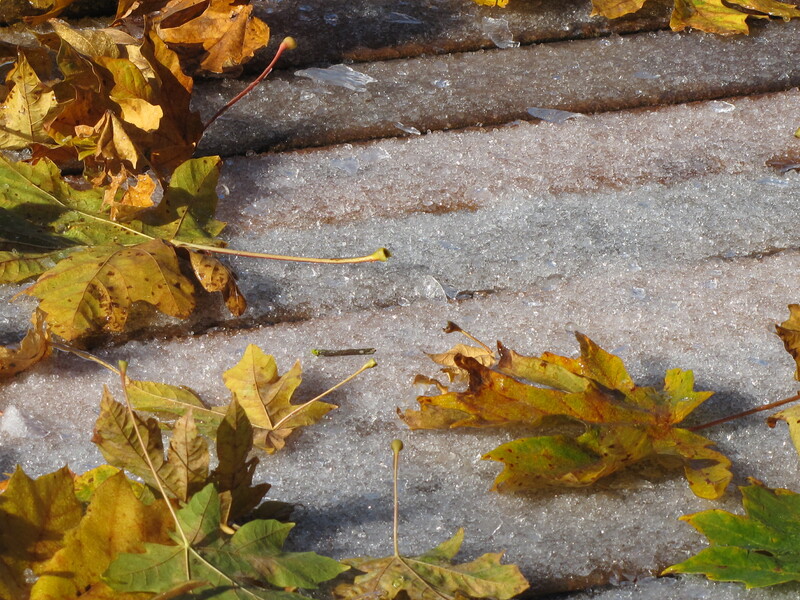 Kinda pretty da leaves ontop da ice. Poor hummingbird feeder. 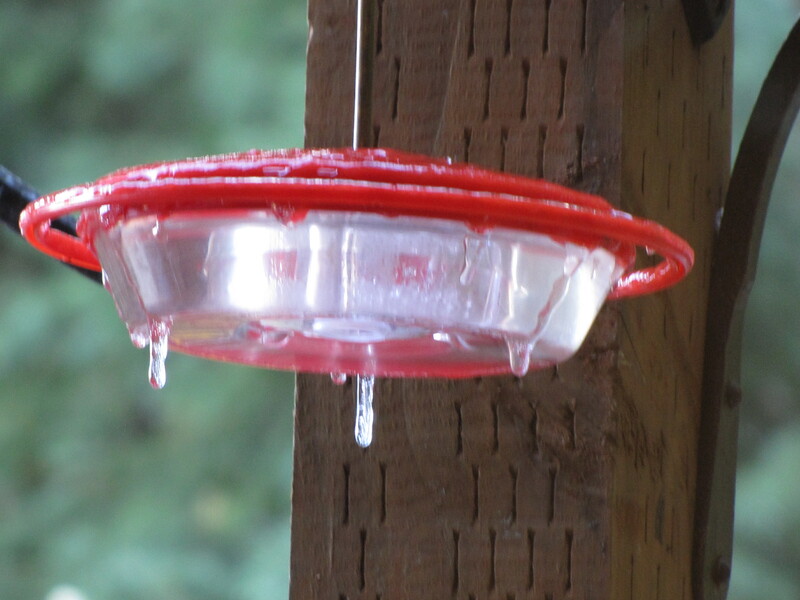 Good thing I had another one in the house, all nicely warmed up for the hummingbirds that came by. We couldn’t get down the driveway for a day, but on Saturday I ventured out to have some coffee time with Anela in downtown Gresham. Good thing no ice where the tires go. 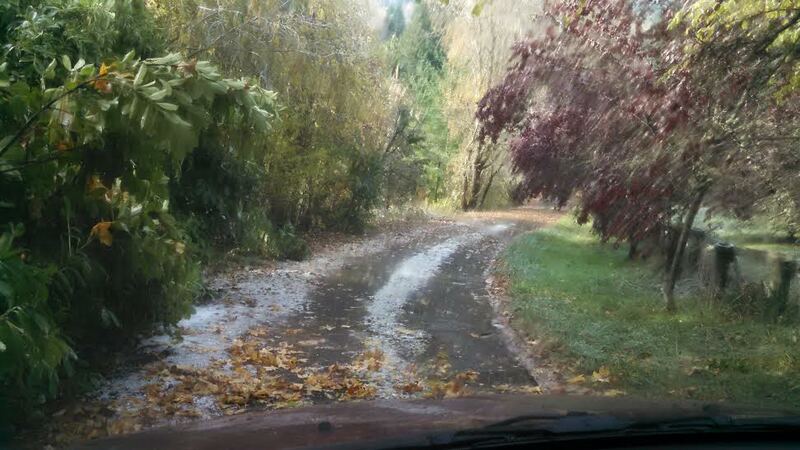 On the way into Gresham, I felt the full force of the East Wind. Holy smoke! 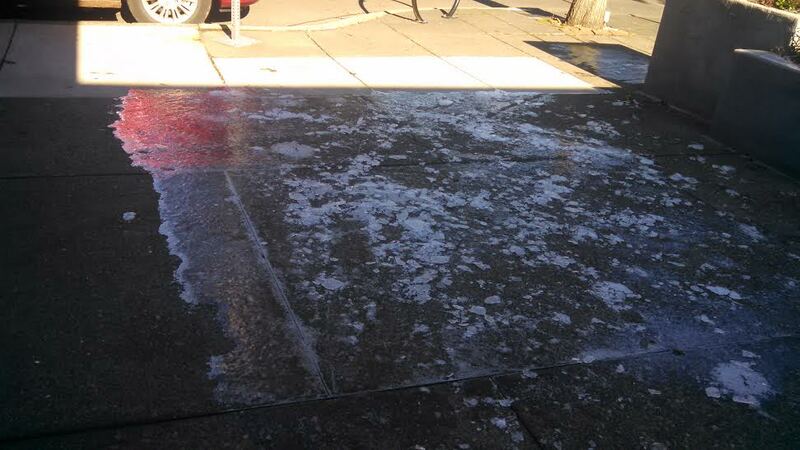 In town, there was a lot of ice. While looking for a parking space, I turned onto 2nd Street and saw this. Since it’s in the shade, the Ice never melted. I stopped and took a photo, then slowly drove till I was out of it. Outside the yarn shop, same thing, but there was a place along the sidewalk where people could walk. Anela and I had a lovely visit. She brought me omiyage from Kailua. So sweet of her! She’d just gotten home a couple of days before. More about that later. The ice stayed on the ground for days. Even now, with the temps in the low 40’s, we still have it around here. The next day I had to go back into Gresham again. And there was still sheet ice everywhere. 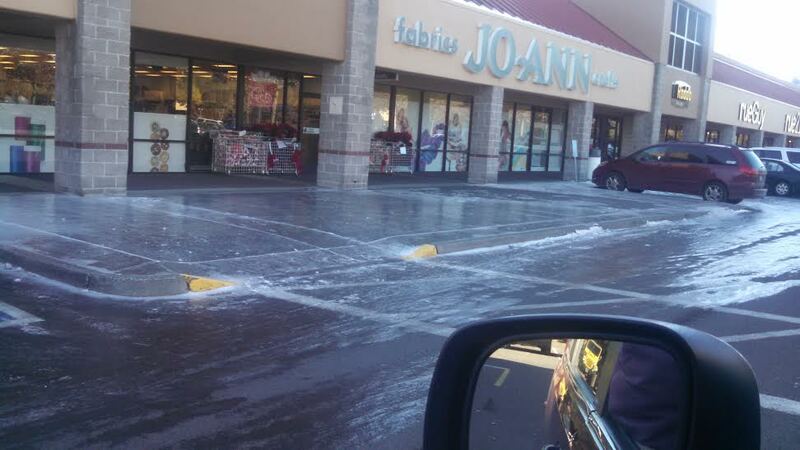 Try look in front of Joanne’s! People were actually walking on it. Not me. I no like take chance. This was down by the library. 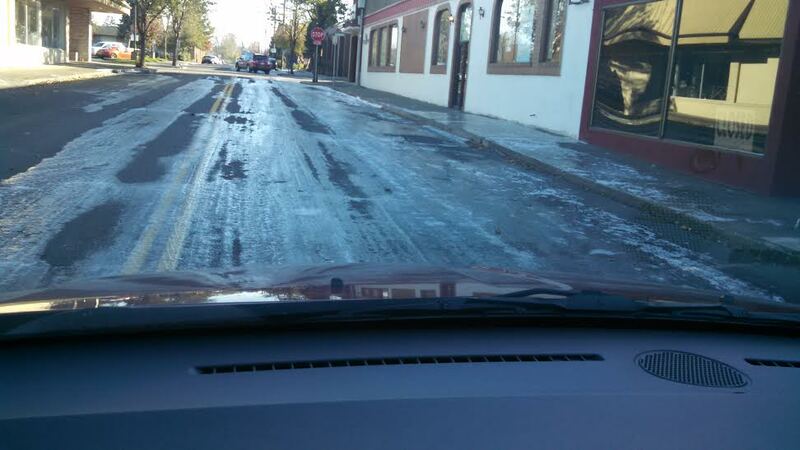 Monday I was back in Gresham and sheet ice was everywhere still. And the wind… walking into the gym, even with my heavy coat on, I thought I was gonna freeze. But now rain is on the way, and I’ll be warm again. And we actually have times when the furnace shuts off! Yay! 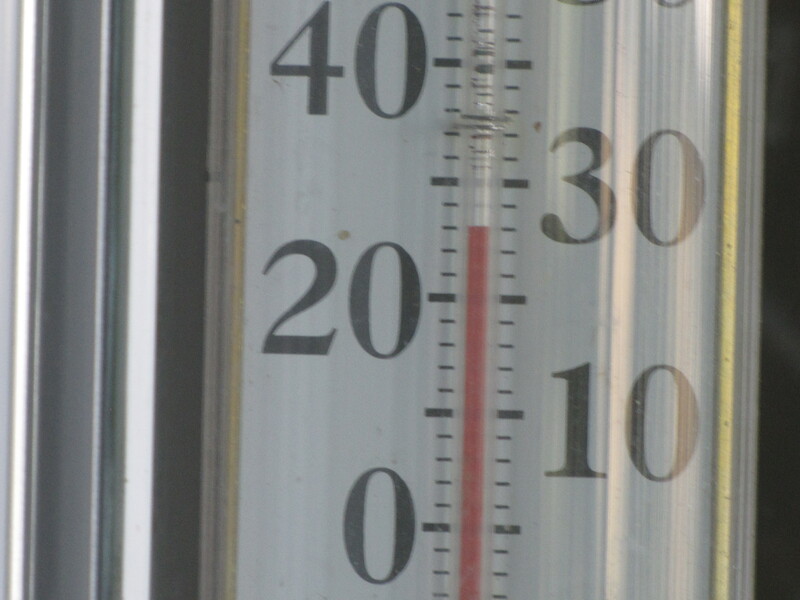 The coldest it ever got was 24°. 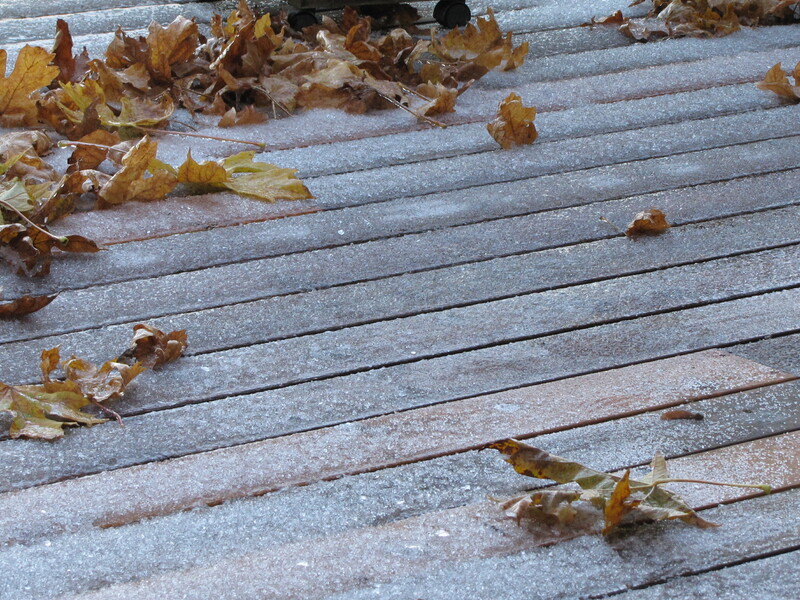 I’ll leave you with a video of all the leaves full of ice falling off the trees. And a squirrel zipping by. 9 Responses to Ho Da Ice!! Oh boy! Talk about freezing. It has been hovering at 28 degrees at night on my side of the country and I love it. I thrive better in the cold than in the warm weather. It makes me feel fresh and perky! LOL Main thing, Moki… keep safe when driving around. I am especially careful here as well. 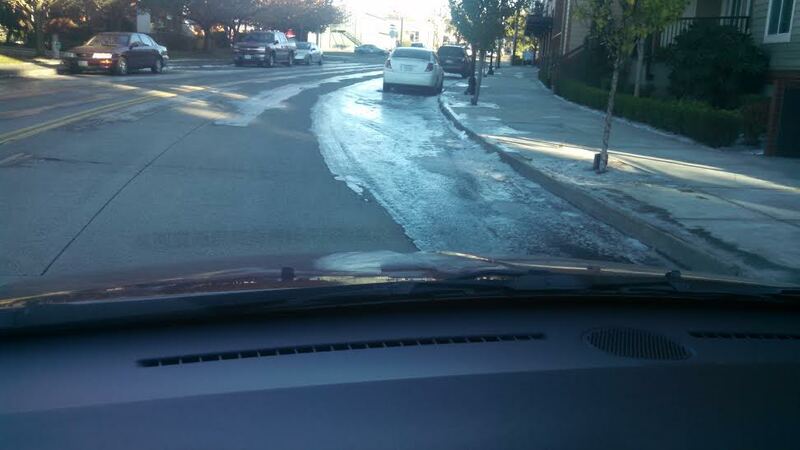 It’s okay when the sun’s up, but that black ice can be decieving. I’m sure, with your freezes on your side, it’s all over the place. Be safe! Me too, Kikue. I miss home like crazy, and never really noticed the heat growing up in Hawai’i except during Kona weather. And one time in Kawaihae. I much prefer the cold now. 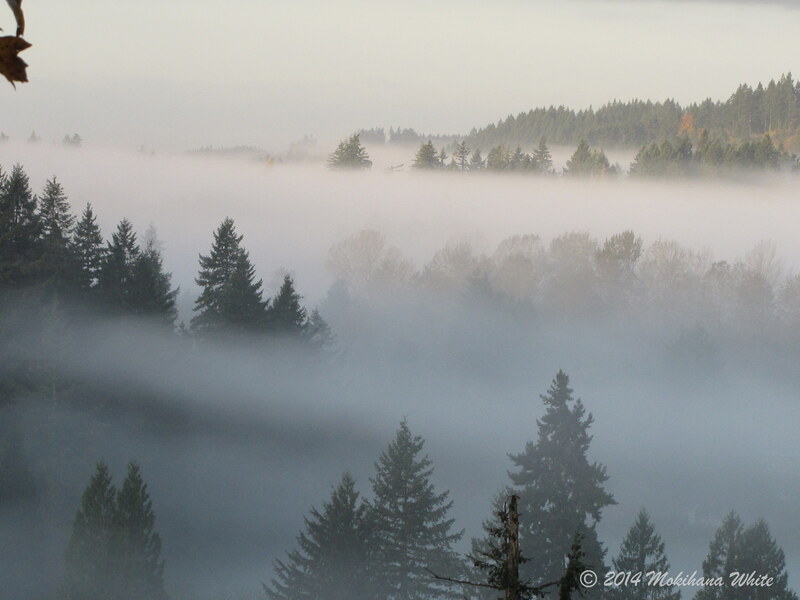 Moki-chan, that first photo with the mist – that is stunning and postcard worthy. Ho da scary wit all da ice! I was monku-ing about how cold it was up here, but at least we had sun we didn’t have ice to deal with. Clouds are already rolling in, and we should get rain (yay! Never thought I’d be happy about *more* rain in November) by the late afternoon. Heated bird bath! Wow, you guys get Club Moki up deah! When temps get below freezing at night up here, I bring in our hummingbird feeder, then tape a disposable hand warmer to the bottom during the day (not environmentally friendly, I realize, but I’m just the hummingbird’s unpaid staff). Most of the time, I hear the hummingbirds scolding me when I take it out in the morning because I never seem to be early enough for them. Yeah, we get Club Moki foa na manu. What a great idea to tape a hand warmer to the bottom of yours!! I love that idea!! Last year when it got really cold I was rotating the feeders all day long; I like your idea better!! Our rain has started here; and I’m happy for the higher temps and no ice. Mahalo for your comment about the mist photo.. I was happy with how it came out. the leaves falling sounded like hail — and I would think the squirrels would hibernate? I wish!! They’re such pests and I’d rather they didn’t come around. Thanks for your comment!